Originally published by Classical Singer magazine in 2003. All Rights Reserved. Savvy singers today know that it’s not enough to be a great performer: you also have to be a great businessperson. Unfortunately, most receive little training in the practical aspects of the classical music industry. Just figuring out the next step can leave the uninitiated singer feeling like a guppy in an ocean full of sharks. By adapting successful business models to fit the business of singing, singers can establish order and meaning, identify their market, achieve solid goals, track their progress, identify strengths and weaknesses, and make adjustments to assure continued success. Philadelphia area bass-baritone Milo Morris does just that. With thirteen years of corporate experience in advertising agencies and marketing departments, most recently as a marketing manager with Verizon, and with extensive experience in musical theater and dance, Morris was well equipped to write his own business plan to get his classical singing career off the ground. He agreed to share his experience with Classical Singer readers. Below, we show you how to write and implement your own business plan --- and maybe trade in your guppy tail for an impressive dorsal fin. But before you get started, remember that there are no magic formulas. A business plan is a useful tool, but it is not a treasure map to fame and fortune. Your mileage may vary! A mission statement defines the purpose of a business and is generally focused on what the business has to offer a market. It answers the question “Why does this company exist”? Use it to define your ultimate objective as a singer. Your mission statement may change over time; that’s natural and often necessary. For example, you may begin your career as an opera singer only to realize after some time that you’re happier sticking to concert/oratorio or vice versa. If you’re happy with that, you will need to revise your mission statement to reflect your new purpose. Phased objectives are goals set for achievement within a specific time frame. They help you map your growth by looking at the big picture of what you hope to accomplish, identifying milestones (major events) and defining realistic goals. Set clear objectives for yourself and specify a range of time in which you hope to accomplish them. They can be specific or generic. For example: “In the next six months, I want to find an empathetic teacher who can help me refine my top” or “I want to sing with two local companies this year, and next year I want to sing with a regional C level house”. Attaching a deadline to your goals is very important to help you stay on track with your achievements. “The Franklin Covey Planner people say that if you choose an objective and don’t put it in a time frame, it’s not an objective because it will never get done,” says Morris, a Franklin Covey devotee. It’s also important to set realistic goals. “More than anything else what helped me select appropriate goals was doing the research,” says Morris. He researched the top ten operas performed in recent seasons (available at www.operaamerica.org) and identified roles he thought were right for him by comparing them to the repertoire of other singers in his fach. Next, he visited opera company websites to determine who they had hired in current seasons, then compared his experience to those singers’. If his resume wasn’t comparable, he knew he needed to achieve that level of experience before applying to that particular company. Of course, things don’t always go according to plans. You may find yourself surpassing some goals easily and never quite being able to reach others. That’s why your objectives shouldn’t be carved in stone. If you achieve all your goals easily, you may need to set your sights a bit higher. If you can’t reach all or most of them, you may have set unrealistic goals. In that case, you may need the help of an outside party such as a respected conductor, friendly general director, or a reputable consultant to help you assess. (It’s a good idea to step outside of your usual circle of advisers on a regular basis for such assessments anyway). Such help can be difficult to find, particularly for singers who lack contacts in the upper levels of the business. Some agents and former agents will consult with you for a fee. Managers such as Ken Benson (CAMI), Peter Randsman (Randsman Artists’ Management), Matthew Laifer (Laifer Artists’ Management), and Neil Funkhauser (Neil Funkhauser Artists) have all been known to offer consultations. Connie Barnett, formerly a manager with CAMI, now has her own consulting business and also offers Radiant Auditions Technique Classes and Fireside Chats About Management (for information, write connie1195@aol.com). Susan Ormont’s Auditions Project (www.sormont.com) includes feedback from managers, general directors, and Young Artist Program directors such as Isabel Wolfe (Prima Americas Artist Management), Michael Ching (Opera Memphis), and Gayletha Nichols (Lindemann Young Artists’ Program, Metropolitan Opera National Council). In some cases, you must work with what you have; so go to the highest level person with whom you have contact and ask them to help you evaluate yourself. Also ask if they have higher level contacts with whom they could put you in touch. 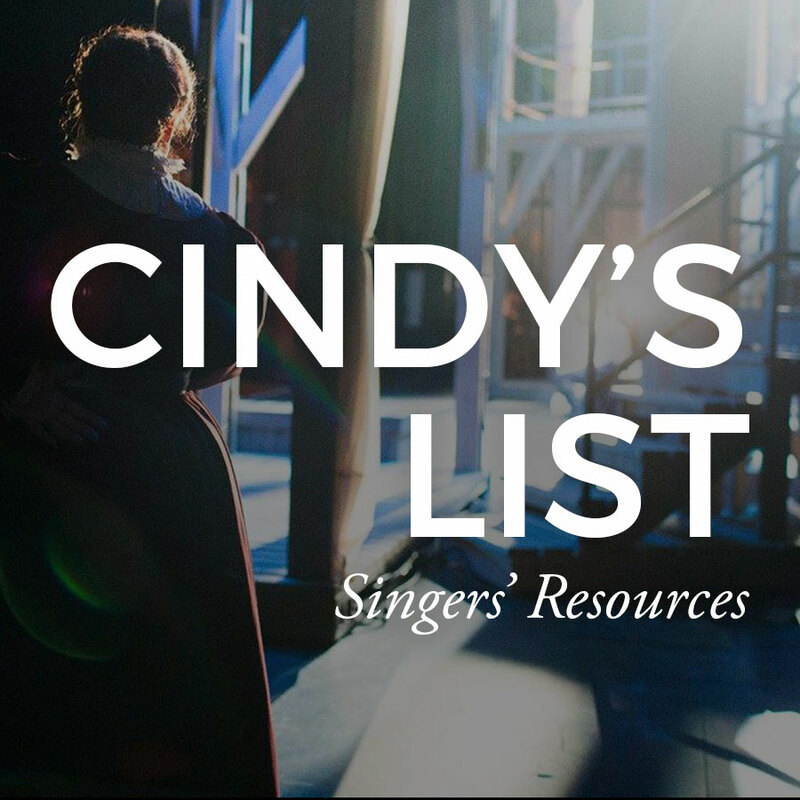 Voice teachers, coaches, more experienced colleagues, conductors, and opera company administrators (including chorus masters, accompanists, even office personnel, all of whom may be more accessible than the General Director) can all be good advisers. It’s fine to start on a local level and work your way up. The industry/market analysis is a collection of research and statistics that help a singer make informed business decisions, such as which companies are appropriate to target and whether a job offer is worth taking. 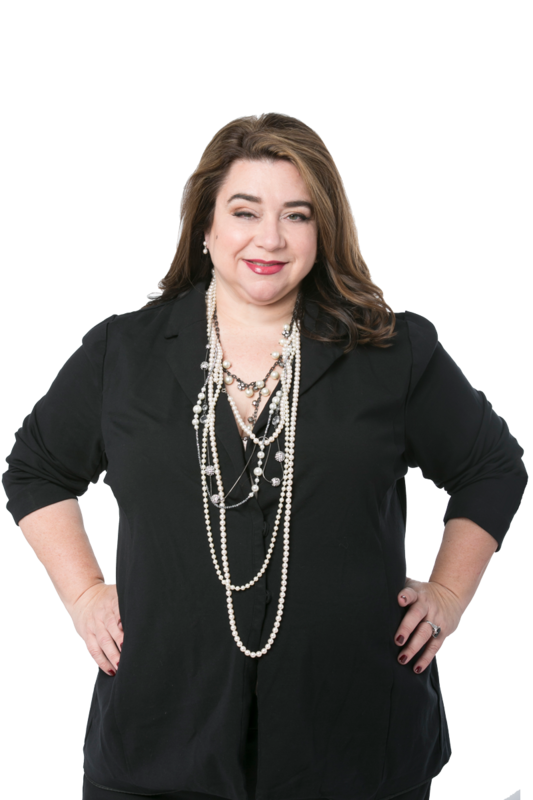 Your analysis should include detailed information on the opera companies and other venues that might hire you and should be considered an ongoing effort that must be adjusted over time. Think of it as a way of finding out how high the mountain is, so that you can decide what approach, equipment, and help you will need to reach the top. Some industry information is easy to discover. Sources such as Musical America and Opera America identify a presenter’s budget level and number of productions or performances per season. A quick Google search of opera company, symphony, and chorus websites will help you find out who is singing where and whether they are double cast, thus giving you a general idea of how many of your roles or how many positions for your voice type might be available in any given season, helping you can project for the next round of auditions. Opera company sites are a great resource for information such as production values, size of the house and the orchestra, whether the company specializes in traditional productions of traditional repertoire or dips its toe into more adventurous works and avant garde productions, whether they do original language or all English productions, what they look for in singers, who they hire, and what image they project. Symphony and chorus sites also often include upcoming repertoire and audition information. 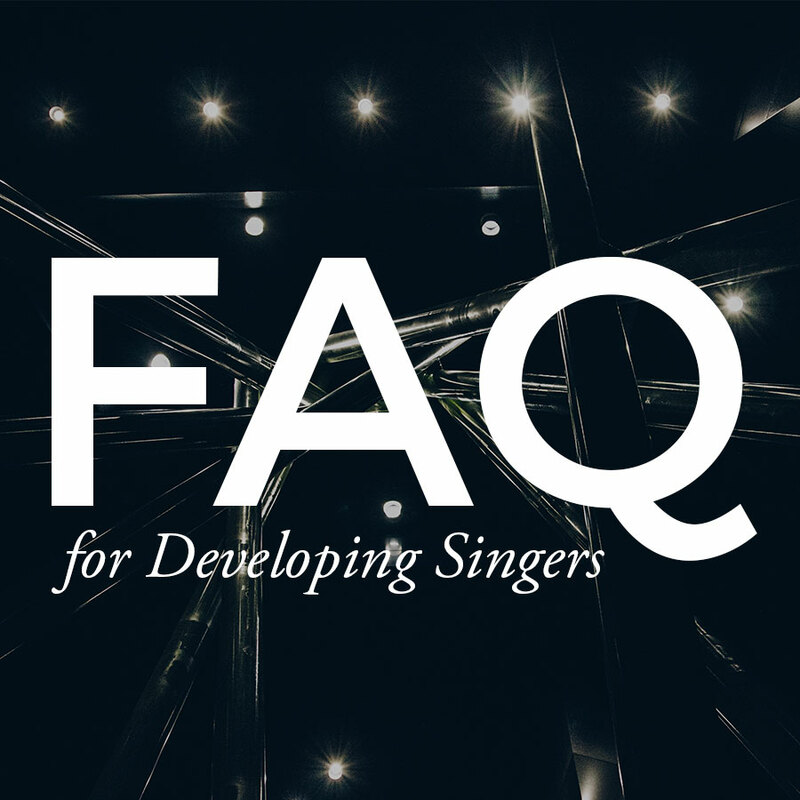 More difficult to come by is information on how many singers are competing for parts, which companies pay better than others, and how long rehearsal periods are (i.e. how long will you have to spend incurring expenses on the road). Morris telephoned a number of his targeted companies and asked around until he found someone who would give him ballpark figures. Talking to colleagues and keeping up with industry publications and websites are other ways to get a handle on the business. For extensive lists of professional musical organizations and societies, visit http://www.music.indiana.edu/music_resources/societ.html or http://libweb.uoregon.edu/music/electro.html. Competitive analysis means keeping track of the tactical activities, successes, and failures of other singers who are vying for revenue in the same market --- in other words, singers who are getting the jobs you want. Revenue objectives are your goals for how much money you hope to earn as a singer. This can be measured on a per-contract basis (setting a minimum amount for which you will work, based on past earnings and trying to grow the revenue each year), a dollar basis (defining a dollar amount you want to make singing this year), or a percentage basis (percentage of your overall income you’d like to have coming from singing). First, you must define the levels of the market at which you expect your business to operate. 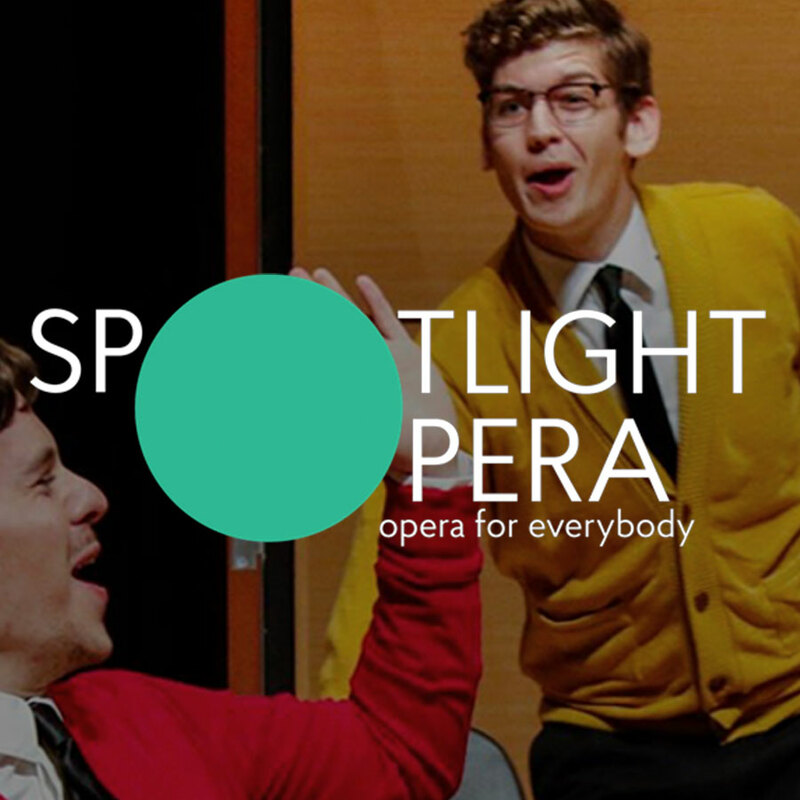 For opera singers, a level might be defined as “Young Artists’ Program”, “Local Professional Opera Companies”, “Regional C House”, “A House”, etc. Church musicians or choristers may assign levels according to the most prestigious, best-paying, or artistically satisfying opportunities. Voice teachers may identify private studios, community music schools, adjunct faculty gigs, fulltime jobs at community colleges or small universities, on up to tenured positions at major institutions, depending on how they prioritize. Next, review your phase objectives (goals); they will influence how much you can realistically expect to earn. For example, if your plan calls for you to be singing comprimario roles at C level companies in the next year or moving from an adjunct faculty position to fulltime, and you have done your market analysis, you will have a rough idea of how much money you hope to make per job. You should set long-term goals as well. For example, in the next five or six years, you might want half your annual income to come from singing-related activities. Like your phase objectives, revenue objectives should move forward and expand over time. The Value Proposition defines what your business offers to the industry --- your list of positive qualities. 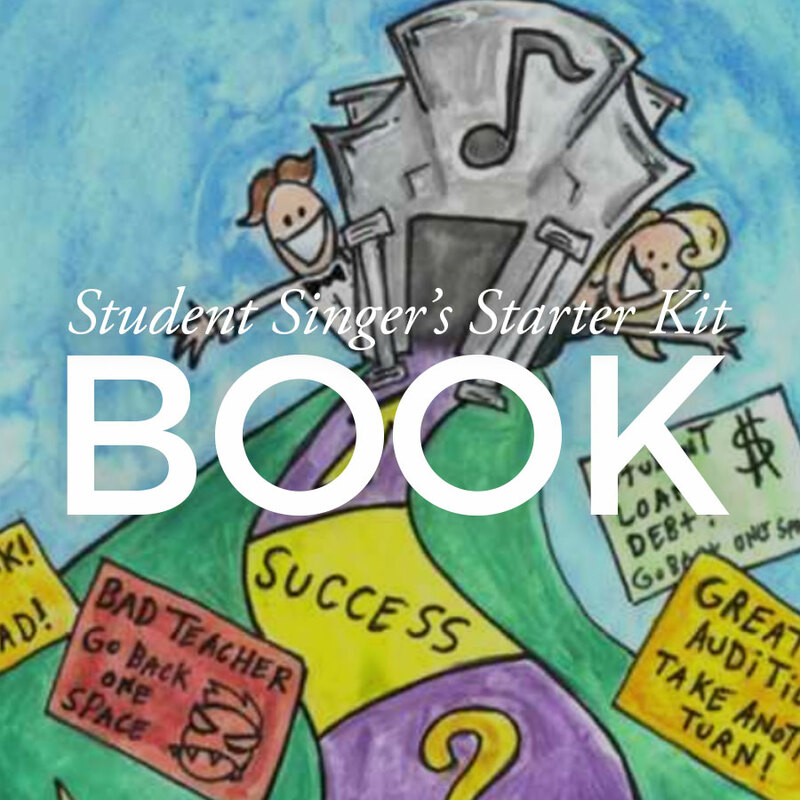 These can include hard products and services such as terrific sightreading skills, an impressive lower extension to the voice or a special handle on teaching how to manage the passagio; or soft qualities like schmoozing ability, charm, or sense of humor. Your Value Propositions are what make the difference between you getting hired as opposed to the next person in line. A stakeholder is any person or group of people who have something to gain and/or lose in the success or failure of your business. These include the audience, directors, conductors, general directors, teachers, colleagues, managers, your family, and others. The decision makers are especially important. For each stakeholder group, define how your business affects them, their level of understanding of your business, and their primary concerns as related to your business activities. Your interaction with each group and how you prioritize one over another depends on how your define them. Defining your stakeholders and their needs or wants helps you understand what they want from you and what you need to do to keep them happy. They affect your career and are affected by it; they have a set of expectations for you. Knowing these expectations helps you avoid mistakes and make better business and personal decisions. It helps establish you as a savvy professional. For example, if you know that the board members of Opera Company A are putting pressure on the general director to hire mainly young, attractive, fit singers, you might be able to hit the gym a few extra times before your audition scheduled months away. Or suppose you’ve heard that Conductor K always anticipates the beat a little and is especially hard on the alto section. You can be prepared to anticipate as well and make a better impression. Determining the needs and desires of your stakeholders is a matter of chatting up people who’ve worked with your target companies and keeping your ear to the ground. Your position is your image, the way you want the industry as a whole to perceive you. In other words, what package are you selling? Are you a brilliant technician who really connects with students while commanding an impressive knowledge of art song repertoire? Dashing but charmingly self-deprecating barihunk whose chest voice makes the ladies shiver? Ace musician and sightreader whose strong, reliable voice can be depended on to lead and support a section? Deliverables are the steps you must take to implement your plan; the main work, the nuts and bolts. This is where you break down your objectives into small steps that show you exactly what you need to do to achieve them. Go to library and research Musical America for managed singers who are on or about my level. Find out which managers they are with. Check Google and Operabase for aforementioned singers to compare their experience level to mine. Also research the managers. Write a great cover letter, dropping appropriate names. Send materials to targeted managers. Follow-up with emails or phone calls to set audition dates. Make sure repertoire is in top shape. Do auditions and follow-up until I am signed! No steps are too small to list, and being able to cross them off not only gives satisfaction but also helps you track your progress. You can then see where you might need to add a step or rethink a goal. Metrics means tracking performance to compare it against mission, objectives, positioning and revenue, in order to assess successes and/or shortcomings. Keep spreadsheets or databases containing information on each venue you submit to. Include company name, contact information, names of important contacts within the company, interactions (i.e. initial request for audition or interview, materials submitted, the audition or interview itself, any feedback, followup calls, etc. Include the name of the person you spoke to). Keep track of the money you make singing, either on a per contract basis or annually. Also keep track of the “soft” qualities: is your mission the same now as it was a year ago? Is your image/positioning the same, or has feedback led you to believe you might be more successful with some adjustments? Ask yourself if you are meeting your objectives, and if not, why? Did you set up reasonable objectives? If you did, why didn’t you achieve them? Did a company refuse to hear you last year, and grant you an audition this year? Why? Did you achieve your financial goals? Did you perhaps set your sights a little low and should you readjust them this year?